I got a mini whisk at Christmas, and man, I love this thing. I bought this mini set of whisks years ago, and they’d really seen better days. They’re not all that sturdy, and after two decades of use, they were pretty bent up. Plus, I always felt like the base of those was too narrow…it was difficult to get them to really mix stuff. The handle was uncomfortable as well. So, I got this new one and I love it! It’s a much more sturdy style, the base is wider, and it’s so handy for mixing up a little bit of salad dressing or a small batch of scrambled eggs. The new whisk is $10, vs. $5 for the 2-piece set I used to have. But the new one works so much better, I definitely think it’s worth the extra money. But I got this larger one, primarily to use for skillet cornbread, and it turns out, I really love it for all sorts of other tasks too! 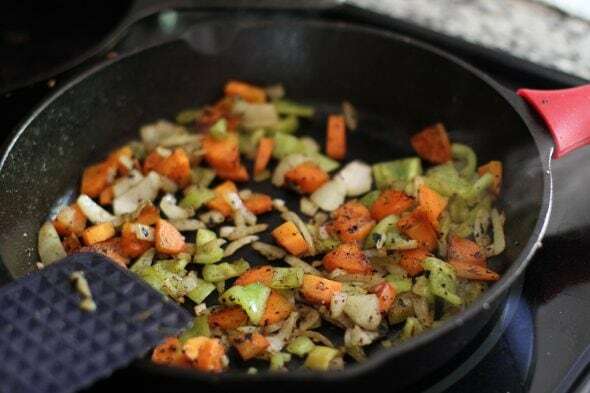 I like that it’s not as bulky as my 12-inch pan, I love the silicone handle, and I must say, the preseasoning on this pan is fabulous. Email subscribers: you can find links to these pans (they will be affiliate links) on my Amazon shopping page. 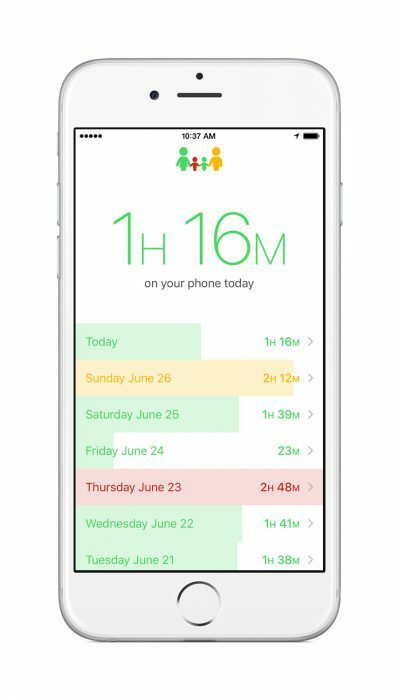 This free app tracks how much time I’m spending on my phone, and I find that to be super helpful. I’m much less prone to pick up my phone and waste time on it when I know my daily hour counter will be going up, up, up. My one complaint is that if I’m listening to podcasts, it still counts that against my total. I should probably just remember to turn the app off at those times, because I do not count a podcast episode while I’m cooking dinner as actual time on my phone. Or I could fork over the money for the premium version, which lets you tell the app not to count certain apps against your total for the day. Hmm…. Speaking of time management, I’ve been enjoying my advance review copy of Off the Clock, by Laura Vanderkam. Lots of good reminders in there! The focus of the book is helping you to feel like you have more time for the good things in life, so it’s not about being efficient just so that you can get more and more and more done. The book came out officially yesterday, so you can buy a copy now. Or you can check with your library to see if they’ve got it. Anything you’ve been especially loving lately? I’d love to hear in the comments. « Five Frugal Things | Well, hello! I’m still loving my non-stick USA muffin pans (the ones with those ridges in the pans). Every time I use them (at least once every two weeks), I marvel when the muffins come out with no mess at all. I don’t even have to line them or grease them. And they are so easy to clean! And I’m not sure I love the job of planning a vacation right now, but I am finding I prefer using the phone to call hotels instead of booking online. Those online booking sites don’t know what to do with our 7 children, but real people do. One even gave us a reduced price just because we have a large family with small children. Plus those real people have given awesome travel tips or have pointed me in the right direction to find a good place to stay if they couldn’t accommodate. The stroller. (I don’t even know what kind it is; just some random one my mother-in-law bought at Target when my eight-year-old was a baby.) I am SO HAPPY my daughter is big enough to ride in the stroller now. I have never been a great fan of baby-wearing, though I did do it with all my kids to some extent. When they’re old enough to wheel around in the stroller, though, I am all over it. All our junk can go in the bottom basket; I don’t have to have her weight on me; and she’ll even nap in it briefly. It’s the only way I can get through multiple baseball games without feeling crippled. I’m loving my new bike lock to get around town with ease in the nice weather! We whisk everything in our kitchen with a pair of chopsticks, so we have never purchased or owned a whisker. I like that all of the things you love are so practical and frugal! I use the Moment app also and love it! I think if you turn your phone off, but leave the app running in the background, it shouldn’t count it against your total. yes, i was just commenting to say this! i listen to audiobooks and podcasts alot and if i just click off my screen, moment doesn’t count that (only the time getting it setup). whew!! Ooh, perfect! Good to know. I have been loving summer cooking. Grill some meat. Easy fruit and salad on the side. Yum! Does not heat up my house either. I have also been loving getting free plants from my school’s ag program. Some are GREAT some are not so GREAT but all are FREE. You got a whisk for Christmas — that reminds me that I got a Silpat, garlic press, dish towels and a set of mixing bowls as Christmas presents the last few years — and I was thrilled to get them. Are we exciting people, or what? My ThredUp cotton cardigans, one black and one ivory, that I wear at work. I’m surrounded by men who like the offices to be cool. The coneflowers blooming like crazy in my butterfly garden. They come back stronger every year. My audio books from the library. I have a long commute, and they are wonderful to listen to while traveling. My cast iron pans, too. I use the 10″ pan nearly every day, but if I’m frying chicken, my 12″ pan is my go-to pan. I love the silicone lid I found at Mighty Nest that works as a lid for my cast iron skillets as well. I am loving that it is garden season. It feels amazing to just go out back, pick a bowl of strawberries and hand it to the kids for snack or to go snip some leafy greens to serve with dinner. We rebuilt our deck last weekend and it was such a hard job! But every time I look out of the clean windows at it, I am proud of how we did it ourselves! I have a few more things to do out there but I super love our backyard patio and deck space now. Silicone handle on a cast iron pan?!! That is brilliant! I’m constantly forgetting that the handle is hot and burning my hand. I just looked it up and you can buy them separately! Netflix. Not going to lie. Time with my husband watching an interesting show cuddled up on the couch when the kids are in bed is wonderful, convenient and cost effective entertainment. My brand new fabric shower curtain I got at a garage sale for $2. I’m loving my bug net that fits just over my hat and head. I do early morning gardening before the sun really heats up the space, but the mosquitoes, black flies, and no-see-ums love that time too. My gloves, boots, pants and long-sleeve shirt keep them off the rest of me, but bugs landing on my ears and eyebrows really bug me. Using a no-DEET repellant keeps them away some, but they will find any spot on my head I’ve missed. No more with the bug net! It’s elastisized around the bottom so easy to “seal” my head away from the bugs! 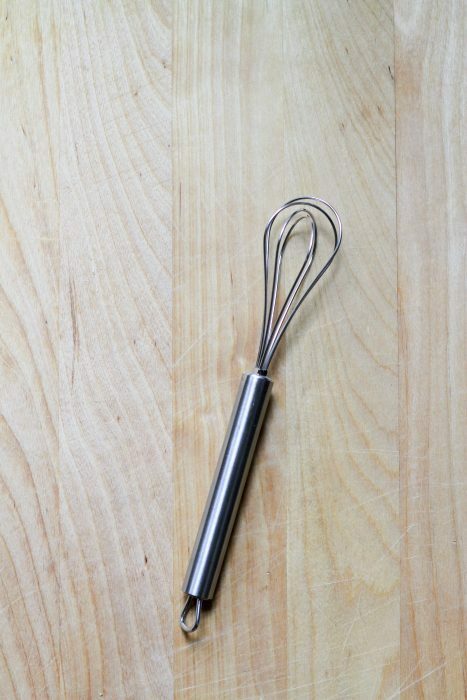 Oh, that whisk…is definitely going on my wish list! I love sturdy kitchen tools so much. I am currently loving my fitness tracker. I have an OCD problem when it comes to tracking steps. I become completely obsessed with it. I decided to get a Misfit Shine. It has what looks like a blank watch face and you just tap it to tell you how much progress you’ve made toward your fitness goal. It counts points instead of steps, which lets it give you more credit for sustained and/or quicker movement. I only see my progress as a portion of a circle. It also tells approximate time (within five minutes). I know they make fancier versions with actual watch faces, but I really love the simplicity of this version. It’s just the right kind of motivation to get me moving each day. Yay! That mini whisk is adorable. 1. Meditation face cover: I made a weighted face cover to use during meditation instead of buying one. It’s just an old pillowcase filled with rice lol! 2. My cat, Zap, although I wouldn’t classify him as a ‘thing.’ He’s been so snuggly lately. 3. My crockpot. I started dinner this morning and it’ll be hot and ready for supper. Easy peasy and it’s not heating up the house! Getting your dinner prepped/cooking before lunchtime always makes you feel like a superhero, doesn’t it?? I’m loving Informed Delivery (https://informeddelivery.usps.com/box/pages/intro/start.action) from the USPS. You get a daily morning email where you can view scanned images of the pieces of mail being delivered to your mailbox. I wasn’t sure I wanted to do this but discovered if you don’t do it for your address, someone else could. Now, even though I get mostly junk mail, I’m addicted to seeing what will be arriving. Oh, and it’s free.